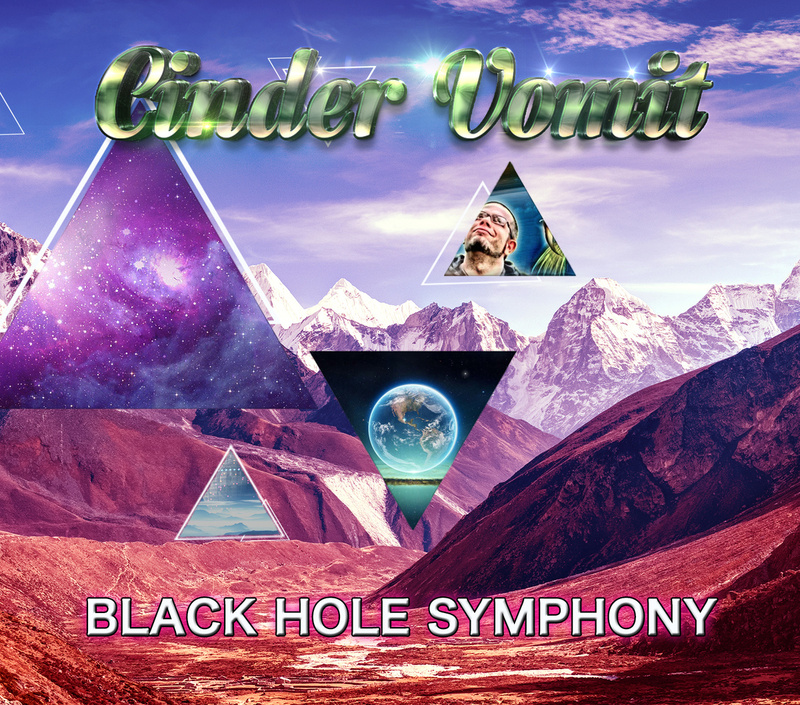 The Black Hole Symphony is the debut album from CinderVOMIT (David Sheker), a psytrance project from Atlanta, U.S.A. What sounds transmit from the depths of a black hole? Would it be silence? Would it be beautiful? In recent studies of the intergalactic symphony we have discovered that there is quite the intense symphony of psychedelic transmissions lying deep within the portal. Collected here are several transmissions recently recovered by top scientists of Akashik Record. This album will take higher BPM trance into the next dimension. Prepare to surf the portals of the universe! Mastered by Priapizzm with artwork by Guillermo Alarcon (Egnogra).